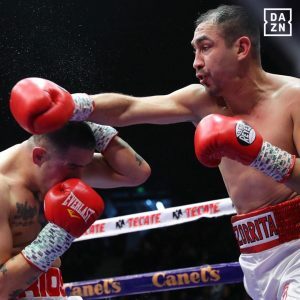 Humberto Soto kept his career alive when he outpointed Brandon Rios in Tijuana, Mexico on Saturday. The 38 year old former two weight world champion won in what was a minor upset in his home city. Rios was the younger fighter and the bookmakers favourite however he struggled with conditioning as the fight went on. Going into the bout, Soto had won his last three fights since a loss to Antonio Orozco in 2015. Rios was coming off of a win against Ricardo Alvarez in November last year however he was 4 wins and 4 losses in his last 8 fights. Soto started the better, landing the more effective combinations and a couple of uppercut and hooks. Rios came back into the fight, pushing forward and throwing plenty of shots at Soto. Soto was tiring as the fight moved into the middle rounds however he showed his experience by being busy at the end of the rounds. Moving into the final rounds and Soto was again the most effective in any exchanges they had. It was starting to become clear that Rios was behind and would need a KO. Scores were 118-112, 118-112, and 119-111 for Soto, who now has a record of 69-9-2 (37 knockouts). Rios, record stands at 35-5-1 (26 KOs). Undefeated lightweight Hector Tanajara beat Ivan Delgado by technical decision after the end of the fourth round. Delgado started aggressively but Tanajara (17-0, 5 KOs) used his height and reach to take control, working his jab well. The fight was stopped in the 4th due to the cut above Tanajara’s eye, all three judges had the fight scored 40-36 to Tanajara at the time of the stoppage. In a local rematch bantamweight Joel Cordoba won a split devision over Jose Quirino, the first bout ended in a draw. This time the decision went in favour of Cordoba with two judges giving him scores of 97-93 and the other judge scoring it in favour of Quirino 96-94. Former Mexican Olympian Joselito Velasquez stopped Kevin Villanueva in the 5th round having had Villanueva down in the third also. The tow me was thrown in by Villanueva’s corner. Diego Pacheco won his four rounder against Alberto Aguillar 40-36. Sulem Urbina defeated Judith Rodriguez 60-54, 60-54 and 59-55 in the flyweight division. Alexis Espino won on his pro debut at super middleweight by knocking out Victor Abrego in the 2nd round.